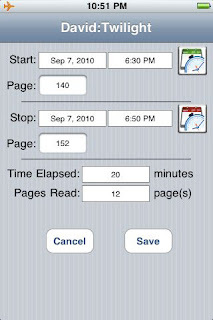 Reading Log 1.0 for iPhone and iPod touch has just been released by Server Solutions Group. Reading Log app was developed by parents and student with total forces. It is perfect source for parents to track their children what book they are reading or how long have they been reading. You can even find how many pages have they read. A simple ﻿test in elementary and middle school shows that for kids reading for 20 minutes per day is required. So the app will assist you in controlling the reading progress of your child. Reading Log 1.0 is only $0.99 USD and available worldwide exclusively through the App Store in the Utilities category.